Just as the athletes who have worked hard to achieve their goals; many coaches are reaping those same rewards after tireless hours in the gym. Their success has caused a shortage at home but it is with great pride we share the following successes with you. Currently working at the head coach of the Algonquin Thunder here in Ottawa. This year's edition of the Thunder are considered among pundits to be posied to give the defending National Champion Humber Hawks a run for the OCAA title. Jeff is working alongside many Maverick players he had worked with in the club and continues to help when he can with our programs. Jeff played Maverick Volleyball in the 1993-94 season. Everett Delorme- 2012 OVA Finalist Mustangs assistant coach- NOw working as head coach of the George Brown College women's team. Evertt was a member of the Mavericks as a player for 2 years in 2010 and 2011. Nathan is now the Video coach for the McMaster Marauders where he is reunited with, a former player of his; Marc Begin and fellow Mav Alum Jori Mantha. 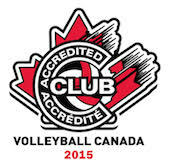 Nathan has quickly become one of Canada's leading experts on the Data Volley video tagging system and has been hired by Volleyball Canada for his services during world calibre events held here in Canada. Maren is currently work with the University of Manitoba Bisons women's program and has serve on the staff of the National B team for the past two summers. While we at the Maverick Volleyball club are always sorry to see a coach depart, in the case of these individuals we are pleased to applaud their success and use them as icons to inspire both our current coaches and players to keep working toward their dreams.